Many recent business-related laws were enacted because of the strong efforts of our government affairs team, which works tirelessly as your advocate in Trenton to help businesses like yours. Just as importantly, NJBIA has also succeeded in convincing the Legislature not to enact certain proposals that would have made it more difficult for our member companies to do business. NJBIA counts the following as our top successes for New Jersey’s 217th legislative session (2016-2017). This law, NJBIA’s major 2016 achievement, increased the $675,000 NJ estate tax exclusion to $2 million effective Jan. 1, 2017 and completely eliminated the estate tax effective Jan. 1, 2018. 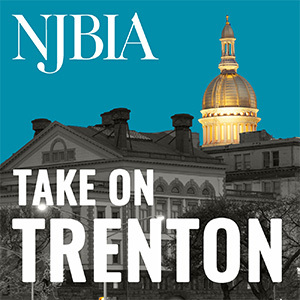 NJBIA has long advocated for the repeal of the estate tax because it impacts small business succession planning and causes the outmigration of New Jersey residents to tax-friendlier states. IRS tax data shows New Jersey has lost $20.7 billion in net adjusted gross income since 2005, which impacts state revenues, economic growth, and jobs. During the past 11 years, outmigration problem has caused $13.1 billion in lost economic output, nearly 87,000 jobs and $4.6 billion in total lost labor income. The elimination of the estate tax is a major NJBIA legislative accomplishment that will help curb outmigration and boost economic activity in our state. For years, accountants and financial planners had been telling their clients that New Jersey’s tax laws make this state too expensive for retirees to live in and this was due, in part, to New Jersey’s low threshold for taxing retirement income. The results of NJBIA’s annual Business Outlook Survey of our member companies confirmed this belief, with more than two-thirds of respondents saying they would not make New Jersey their home after retiring. NJBIA worked to change the law to gradually raise the retirement income exclusion for seniors to a maximum $100,000 for married couples by 2020. By comparison, the 2016 tax year threshold on retirement income was $10,000 for individuals and $20,000 for married couples. This constitutional amendment, strongly supported by NJBIA, ensures all revenues raised by the gas tax are kept in a metaphorical “lock box” and only spent on transportation projects. Without this constitutional amendment, gas tax revenues could be siphoned off by a future Governor or Legislature during the annual state budget process and spent on other state programs. NJBIA actively supported this constitutional amendment, which ensures gas tax revenues are spent on the transportation projects for which they were intended. A bill backed by Gov. Christie proposed to raid the capital reserves of Horizon Blue Cross and Blue Shield was strongly opposed by NJBIA, as it was inappropriate to divert funds from policyholders for other state programs. NJBIA voiced that those funds should be kept in reserve to pay future healthcare bills. As part of the negotiations that yielded a final budget last July, this new legislation established that HBCBS’s excess reserves would be used to hold the line on future premium increases. Gov. Christie conditionally vetoed a bill seeking to increase benefits, expand eligibility to more workers and double the length of paid leave to 12 weeks under New Jersey’s Paid Family Leave law. NJBIA was, and remains, opposed to such expansion because the increased costs of the program without adjustments to the payroll tax that funds it. Gov. Christie vetoed a bill requiring NJ’s full participation in Regional Greenhouse Gas Initiative. NJBIA was, and remains, opposed to return to RGGI because it is unnecessary. New Jersey’s energy generator sector is among the cleanest in the nation and participation in RGGI would ultimately lead to higher energy costs for businesses and consumers. NJBIA strongly supported this new law authorizing healthcare providers to engage in telemedicine and telehealth. The law recognizes the impact of modern technology by establishing a framework for the responsible use of telehealth and telemedicine as cost-effective way to treat NJ residents. NJBIA supported legislation which extends eligibility under the Angel Investor Tax Credit program to the holding companies of qualified New Jersey emerging technology companies. Previously, investors had to provide funding directly to the subsidiary in order to obtain the tax credit. Residents of New Jersey and Pennsylvania will continue to pay income taxes where they live, instead of where they work, now that a bi-state tax reciprocity agreement scheduled to be abolished in 2017 has been re-instated. As the rates of many of New Jersey’s income tax brackets are significantly higher than Pennsylvania’s flat 3.07 percent rate, state businesses were concerned they’d lose valuable employees or experience an increased cost of doing business as a result of needing to compensate for the proposed tax change. NJBIA lobbied on our members’ behalf and welcomed the news from the Governor on Nov. 22 that the tax reciprocity pact would remain in effect. NJBIA lobbied against the $15 minimum wage because it went too far too fast and would have had a devastating impact on our state’s economic recovery and our small businesses. NJBIA recognizes the state’s minimum wage has not kept up with inflation and should be increased responsibly. The state, however, must also address the root causes that make it so unaffordable for minimum wage workers to live here, such as New Jersey’s high housing and healthcare costs and exorbitant property taxes. The original Senate proposal would have required all employers to provide workers with either 5 or 9 days of paid time off, depending on the company’s size. NJBIA strongly opposed this legislation because it would have imposed additional record-keeping requirements and regulations on business – most of whom already have paid time off policies. NJBIA was successful in securing several amendments to the Senate bill including amendments adopted on June 23, 2016 that would exempt businesses with fewer than 10 employees. The Assembly has taken no action on this legislation, which requires approval from both houses of the Legislature and the Governor’s signature before it can become law. NJBIA strongly advocated for new law increasing tax credits under the Grow New Jersey Assistance Program for businesses undertaking collaborative research with colleges and universities from the Garden state. NJBIA supported the legislation because it encourages economic development and incentive areas around colleges and universities and will create technology clusters that spur economic growth, innovation and discoveries. NJBIA also supported companion legislation creating a new Commission on Higher Education and Business Partnerships. NJBIA strongly supported two bills appropriating the remaining $34 million from a voter-approved bond issue for construction projects at higher education institution and establishing a “High School to College Readiness Commission” to examine issues and develop recommendations to enhance student preparation for postsecondary education. Both bills were signed into law in 2017. NJBIA strongly supported a new law that reduces time it takes to get a commercial driver’s license in New Jersey by allowing third-party vendors to administer the skills and knowledge tests. NJBIA backed the legislation because applicants typically would wait three months or longer to get their CDL. In the 39 other states that allowed third-party testing, the wait time is as short as one week. New Jersey took a big step toward becoming a hub for global dispute resolution with the passage of the “New Jersey International Arbitration, Mediation and Conciliation Act” into law. The legislation aims to make it easier for companies to solve international business disputes by allowing certain New Jersey nonprofits to organize alternative dispute resolution centers. NJBIA supported the act because it will boost the possibility of global trade in the Garden State. Anti-inversion legislation would withhold state contracts or economic development grants from companies that utilize corporate inversions. A corporate inversion occurs when a U.S.-based multinational corporation restructures so that the U.S. parent is replaced by a foreign parent. Additionally, corporate inversions take place because of the anti-competitive nature of federal tax code and have little to no impact on the collection of the state Corporate Business Tax. NJBIA opposed the bill and testified against it because withholding grants and contracts would likely cost New Jersey jobs and damage the state’s economy. The full Senate has not taken action on this bill. NJBIA has strongly opposed this legislation, which would require members of unitary business groups, or a group of affiliated companies, to file combined reports of Corporate Business Tax (CBT). Combined reporting would create uncertainty and generate costly and time-consuming litigation between companies and state auditors over what constitutes a unitary group of businesses, without necessarily providing any more CBT tax revenue. In its lobbying efforts against this legislation, NJBIA noted New Jersey already has numerous safeguards in place to ensure companies pay an accurate amount of CBT on their New Jersey taxable income. This legislation, which was recently amended to exclude insurance company income, has not been voted on by the full Senate. A proposed constitutional amendment to require New Jersey to make quarterly pension payments for state-administered retirement systems did ­not appear on the ballot in 2017, thanks in part to NJBIA’s efforts to persuade legislators that this change would have created an annual budget crisis and led to significant tax increases. Using the state constitution to make public worker pensions a super priority that is constitutionally required before any other state spending would have caused an estimated annual budget deficit of $3 billion to $5 billion. Appropriations for pensions should remain part of the annual budget process so that this spending can be weighed against all other state needs, including education, healthcare and public safety. On August 15, 2017, the Legislature announced the creation of a new bipartisan Manufacturing Caucus, long supported by NJBIA. The Manufacturing Caucus is designed to bring more attention to the need for funds and programs for career and technical high schools so more students have the opportunity to acquire skills leading to well-paying, middle-class jobs. Many manufacturers report that high-tech jobs often cannot be filled in New Jersey because of the lack of qualified applicants.